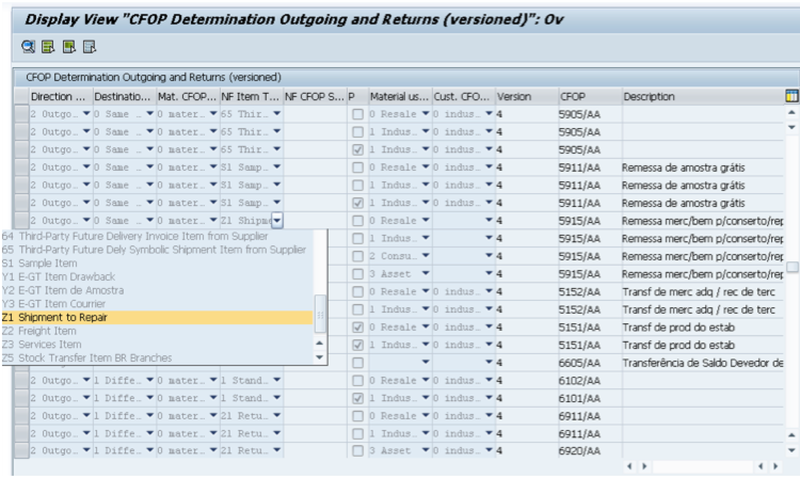 Now that you know what a CFOP stands for, it is time to understand how CFOP get automatically assigns to an Incoming or Outgoing Nota Fiscal. 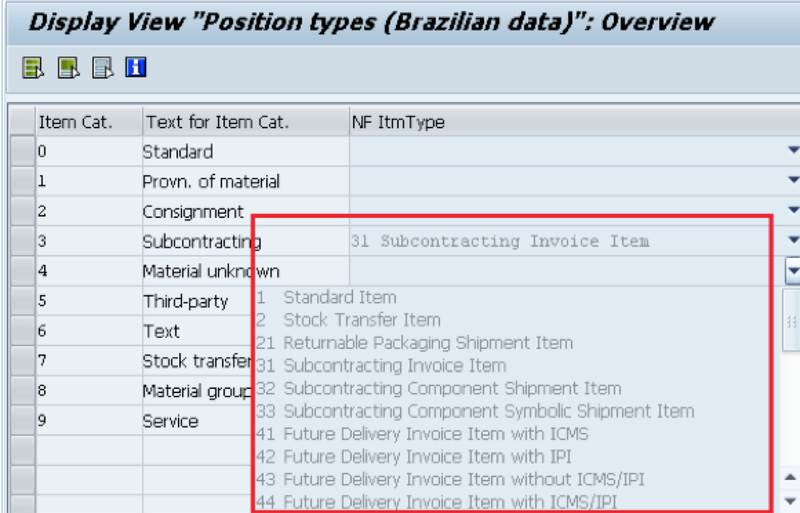 Even with all these possible standard delivered parameters for combinations, it is not enough to cover all possible scenarios in Brazil, then it is necessary add new entries to the existing parameters such as: Nota Fiscal Item Types, Material CFOP Category and etc. 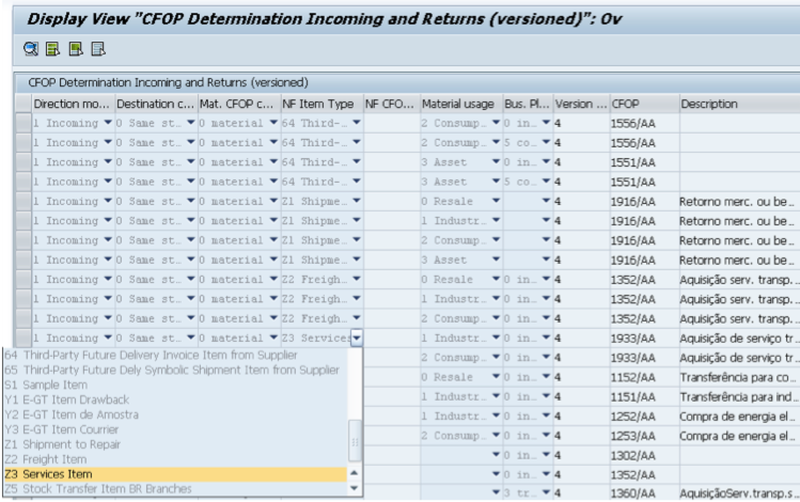 Once your process finds the NF Item Type assignment in one of these 4 possible places, you will be able to add a CFOP combination containing all the parameters above, including the NF Item Type. 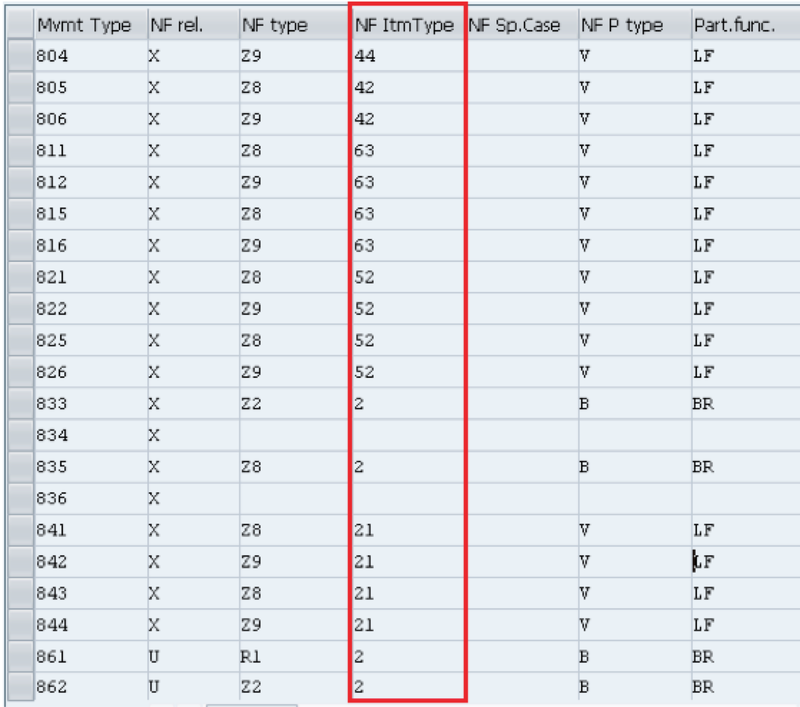 1 – SD Item Category table (J_1BSDICA) – This table is used to assign an item type and a main partner function (for example, ship-to party) to a combination of sales order type, item category including the NF Item Type. 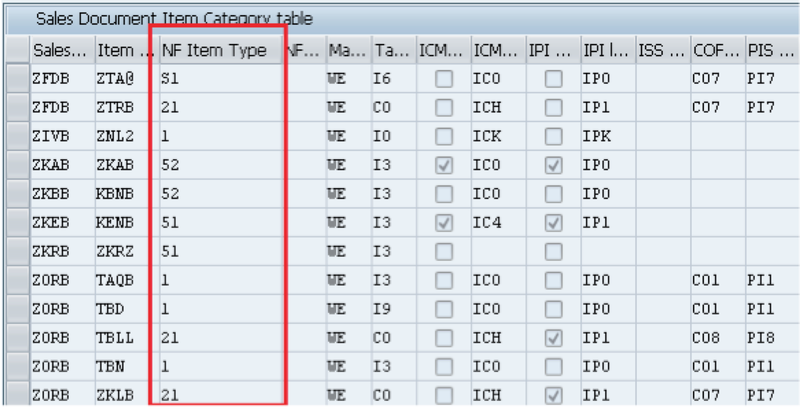 You can also assign SD tax codes and specify whether the system is to calculate statistically the ICMS and IPI taxes. 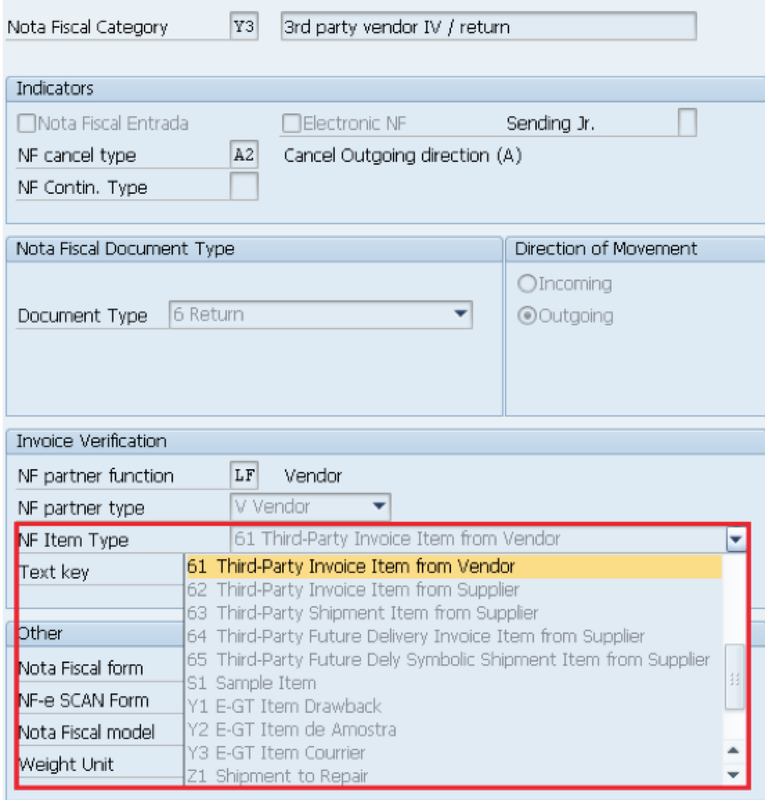 Here it is possible to assign to each MM-IV movement type if it is relevant for Nota Fiscal, the Nota Fiscal type and also the Nota Fiscal Item Type. If you still have questions, please, contact me writing a comment on this post. Copyright Notice: © Leandro da Pia Nascimento and SAPBR.COM (SAP BRAZIL) WordPress Blog, 2013. Unauthorized use and/or duplication of this material without express and written permission from this blog’s author and/or owner is strictly prohibited. Excerpts and links may be used, provided that full and clear credit is given to Leandro da Pia Nascimento and SAPBR.COM with appropriate and specific direction to the original content.